The Maple Leaf was flying from the mast of almost every boat. Our Sunday Sail fell on Canada Day this year, so we decided to fly the maple leaf from out top masts and do a little parade around the inlet and a sail past the Lighthouse Pub and the Porpoise Bay Harbour. Canada Day Sailors in their Hawaiian T-Shirts before hitting the water. One of our member Kevin McEvoy always wears Hawaiian t-shirts out sailing, so we decided to all wear our own Hawaiian Shirts to add even more colour to our fleet. It was a windy and great day out with the Sun coming out from behind the clouds for the afternoon. Could we ask for anything more? 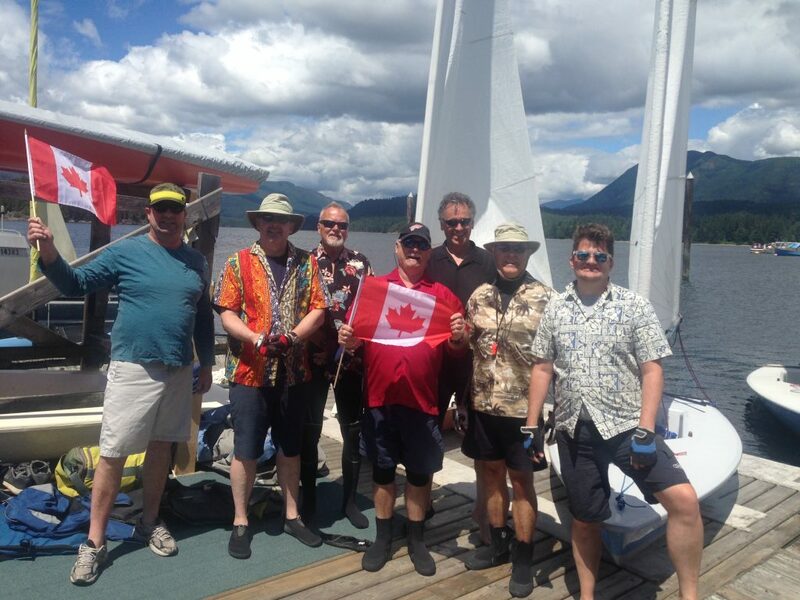 Grzegorz Krolikowski, Dennis Olson and Robert Dall joined Bruce Morris on Capella for the 29th Annual Malaspina Regatta, and we placed third! Which was an awesome showing for the crew on a boat “slightly” larger than our lasers! 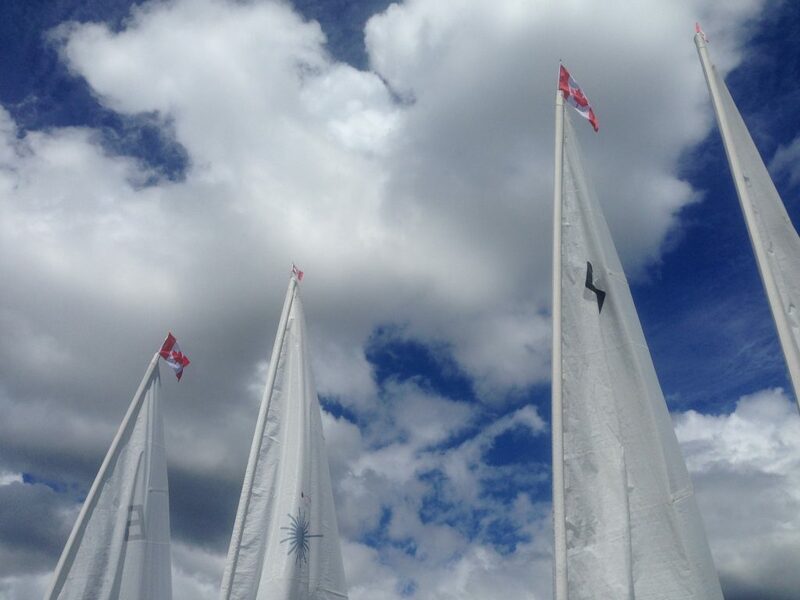 « 2018 Sailing Season Begins! These are general start times to be out on the course. Web design donated by Robert Dall ~ Hosting at InMotion Hosting ~ Powered by WordPress and the wind.